During my recent troubles with my Ford Freestyle (if you own one with similar troubles, share your story on the facebook page, and report the issue to the NHTSA.) I had plenty of time to post on twitter and facebook. I had heard about disgruntled consumers posting on social media, and then being contacted by the twitter representatives of the company, and sometimes have their issues resolved. So, I found the Ford Motor Company Facebook page. I saw that there was a customer service rep named Joanne that worked with issues online. I found the official @Ford twitter and began to mention them in some of my posts. Sure enough, the next day I got a mention and request for a DM with my VIN#. The next two days were spent going back and forth between me and “JA” from Ford Customer Service. At first it was the basic “this is what the CPO warranty covers, and your repair isn’t covered” kind of thing. Then we drifted into the thousands of issues the part has had. One positive thing for Ford did come of our exchange. I stopped posting about my issue, and engaged in real dialog. While my issue was not resolved, I did give Ford credit for at least talking to me. Now, I am pursuing other avenues. I heard someone say that today’s world is one of transparency. The internet and social media has changed how information is shared. Problems like I had with my car used to be experienced alone. Now I know that there are thousands who have been through the same thing. Companies who want to maintain positive customer relations need to have a presence in social media, if for no other reason than to monitor complaints. Hopefully, we can use it to engage people. New UPATE: Ford has sent a letter saying they will repair the throttle body, or reimburse you if you paid to have the work done. Up to 10 years and 150,000 miles. I got a full reimbursement for the work done on my car. If I asked you to name the make and model of the car involved in the above incident, I doubt the Ford Freestyle would leap to mind. But that quote was from an owner of a 2006 Ford Freestyle, and it is just one of many that can be found with a simple search on the internet. Like you, I knew nothing about issues with Ford Freestyles, and other models with similar engines. Last year we purchased a Certified Pre Owned 2006 Ford Freestyle. It has been a great car. We wanted something reliable, smaller than a full size SUV, but with room for three kids and luggage. The Freestyle fit the bill. It is the perfect size, and with Ford’s recent reliability ratings we decided to get one. Imagine my surprise when we were on a family trip, states away from home, and the car began to lunge backward as soon as I shifted into reverse. The “Yellow Wrench” and engine light would come on and off, and I knew this was a significant issue. I did not want to be on the highway with whatever this was. I suspected it was a transmission problem. We headed to the nearest Ford dealership. At first there was some confusion about what was wrong, and I finally got on the phone with a service tech from another dealership. When I described the problem, he immediately knew what the problem was. It was like he had diagnosed this multiple times. A few minutes later I knew exactly what needed to be done, and how much it would cost. Yes, even though this is a major part of the engine, it is not covered by the CPO Power Train Warranty. I needed a new throttle body. I asked what exactly was wrong with it, but the tech didn’t know. He said he didn’t know how they work, but that they always replace the whole thing. Oh, and it’s not an inexpensive part either. The quote came back at $920, but ended up only being $892. I don’t mind telling you, that was a shock. I bought a recent model car, for more money than I had ever paid for a car before, with a certified pre owned warranty. For me to be hit with a $900 repair within a year of that purchase is unthinkable. I was reeling a bit. Knowing I had several hours to kill, I pulled out my phone and started to research this “throttle body”. I couldn’t believe the number of complaints. Plus, very quickly it became clear that this was not just a couple of cars with this problem. Several people reported over 3 months waiting time for the part. One reported that there were 1500 orders ahead of his. Basically, during the last part of 2009 no one could get a throttle body for their Freestyle. Another reported that the part numbers for the new throttle bodies are different, and the factory that made the old one has closed. It was obvious that there was a real problem with the throttle body in these cars. And I began to realize just how lucky we were. The complaints mentioned cars at intersections suddenly lunging forward. (“My wife was driving the Freestyle on [sic] day and was coming to a stop and the car accelerated into the intersection.”) They talked about cars driving at highway speeds and suddenly stalling. (“LOSS OF POWER ON A BUSY FREEWAY!! !”) Our car began acting up in a parking lot. The thought of my entire family driving down the interstate, and suddenly stalling out in traffic… well it’s not a good one. At the very least we could have been stranded in the summer heat with my children. The part “5F9Z-9E926-AA Throttle Body” is over $200. Some 2005 Five Hundred, Freestyle, or Montego vehicles built on or before 3/9/2005 may exhibit the malfunction indicator lamp (MIL) on, with any or all of the following diagnostic trouble codes (DTCs): P0068, P0121, P0221, P0222, P0223, P1120, P1121, P1124, P1125, P2100, P2101, P2106, P2107, P2111, P2112, P2135. Perform normal diagnostics. If normal diagnostics lead to an electronic throttle body (ETB) replacement, refer to the following Service Procedure. Replace the throttle body referring to Workshop Manual Section 303-04, and reprogram the powertrain control module (PCM) to the latest calibration using WDS release B40.4 and higher or B41.1 and higher. This new calibration is not included in the B41 CD. Calibration files may also be obtained at http://www.motorcraft.com. Ford has known about this problem for years, and continues to make cars with a part that will eventually get someone killed. How long until we start hearing about people that have been run over in crosswalks as a result of these sudden lurches forward? Or a major accident where the Freestyle stalls on a highway and fatalities are involved? I have filed a complaint with the NHTSA. If you own a Ford Freestyle, 500, or Mercury Montego with this issue, file a complaint. Call the company. Tell your friends. Together we can make Ford do the right thing, and recall this part. I have started a Facebook page where people can share their stories. UPDATE: I handed off Admin duties to another member of the Facebook page. In less than 2 years a new Throttle Body on my 2066 Freestyle has started doing the same thing again. The lunging isn’t as hard, but there is lunging and hesitation again. It must be a design flaw, not an engineering problem with the part. Because I learned so much more about the issue, and because I don’t have almost $900 to drop on a new one, I went for cleaning the throttle body. It was unbelievably easy. I was done in under 5 minutes. I literally loosened one screw and pulled the hose off. Tucked it down and sprayed the Throttle Body cleaner i picked up at a auto parts store for $5. There was a decent amount of black hunk built up around the valve area. I cleaned all that off. Maybe that was binding up the valve, causing the computer to rev the engine to get it free? So far, the lunging and hesitations is gone. If it comes back I will clean it again, until cleaning it has no effect. 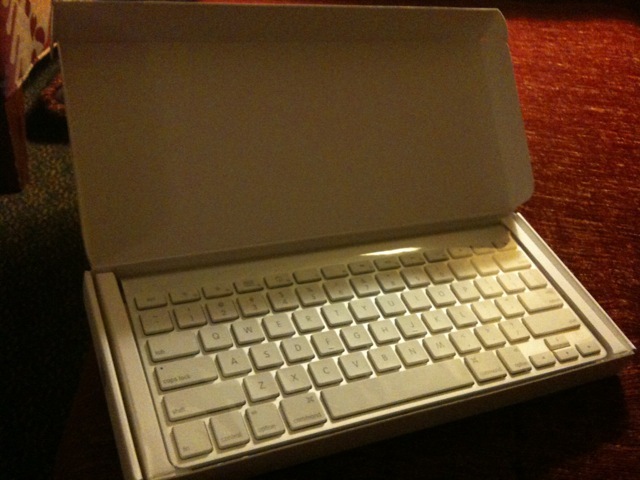 I am typing this on my iPhone 3GS running iOS4 using an Apple wireless keyboard. I am pretty good with my thumbs on the iPhones glass surface keyboard. The iPad is a bit larger, so I revert to my normal hunt and peck style. Since i hunt and peck, I always look at my keys, so the loss of a tactile keyboard isn’t as big of a deal as it is to some. But there are times when I am on the iPad or iPhone and really want to type a lot. Like posts on WordPress, or long notes. In those cases, a Bluetooth keyboard could be a big help. I can type faster and better. Less mistakes and less time means more efficiency. So, I got an Apple wireless keyboard. The coming of iOS4 allowed me to hook it up to either and iPad or and iPhone (sorry 3G owners, I don’t think it works for you). Set up on the phone was simple. I navigated to Bluetooth settings in the general settings menu, and turned on the keyboard. the phone sensed the device, and I was asked to type four numbers and enter. Then it was synced. I have been happily typing every since. I know what you are thinking, doesn’t the use of a keyboard make the mobile devices less mobile. Yes it does. But the battery life of the iPad and iPhone is much longer than my laptop. So it makes sense for me to use those devices to take notes. For people without laptops, the keyboard allows them to do more with what mobile devices they do have. A couple of things to watch out for. if you are using the same keyboard for multiple devices, you will have to make the device forget the keyboard if you change. that is, if you are typing on the iPhone, and then want to add the keyboard to your ipad, you need to make you phone forget the keyboard. Also, the keyboard is great, but you will still have to touch the screen to use your apps. I have a small stand for the iPhone and my case doubles as one for the iPad. You may want to look at something like that so you can place the screen in the bst spot. I’m not using the stand right now, and have the iPhone lying next to me on the chair. I have to turn my head to the right to see it. It’s a bit weird. If you are doing a lot of typing on your mobile devices, like the iPhone or iPad, I would suggest that you get a bluetooth keyboard. Yesterday Steve Jobs and company had a press conference addressing the iPhone 4 antenna issues. Overall it was a pretty good response from them, free cases or full refunds for those with issues. You can see the main video on Apple’s site, but the Q&A had some interesting content. I was watching the live blog from MacWorld, and got this from them. In the course of an answer, Jobs talked about how they approached entering the smartphone market. “To understand Apple, one of our biggest insights came about 8 years ago. We didn’t want to get into any business where we didn’t own or control the primary technology. Because if someone else owns it, they’re going to beat you in the end. And in the computer business, we thought software was the most important tech. And we made our own OS. Our big insight 8 years ago was that for most areas of consumer electronics, it was going to shift from big displays or optical pickup heads for DVDs being important, or radios in cell phones, to software being the most important component. And we realized, we were pretty good at software. And so the iPod really proved that to ourselves, that we could do that, and we brought that to the phone business. Apple didn’t enter the market until they knew they could do it well. And now they dominate that market. How may times do we just do something because we can, rather than have a strategy and plan? No one likes to have change imposed on them. People resist change. It’s human nature. The status quo. Our comfort zone. The feeling that we know what how the world is, and we have some control over it. Change threatens that. It doesn’t matter what the change is, if it is imposed on us, we resist it. So how do those of us that are tasked with driving change accomplish it? The best way to drive change is to create champions of change. People who are convinced that the change they are experiencing is for the better champion it. They voice their support for it. They accept it. They embrace it, and encourage others to do the same. Creating champions of change is difficult. It cannot be done with coercion. That is, you cannot simply tell a subordinate to execute the change and get a champion. You may get the change, but it won’t be easy. For example, this year we did VBS differently. For years we have done the traditional Vacation Bible School thing; bringing hundred (even thousands) of kids to the church, put on a big show, teach them about the Bible, present the Gospel. There were always good results, kids got saved. With the advent of Adventure Quest, our children’s church service, we pretty much do that every week now. What was troubling to our children’s ministry leaders was that very few children who did not already have a church home came. Last year we had about 50 of the almost 2000 kids who were not already part of a church. That’s 2.5%. So the children’s pastor lead his team to take VBS to the community this year. We did not do our normal VBS at the church. We had smaller “Expedition Clubs” at 10 locations around the city. Six of them were held at inner city parks. There was no big event at the church building. This created no small amount of complaint and criticism. Anyone and everyone associated with the church has heard at least one person react critically to this decision. To deal with this the children’s pastor had several meetings to talk about why and how this new VBS plan would work. He explained the demographics of the city, the effectiveness of what we had done in the past, and what we could do. In short, we are uniquely positioned to reach a segment of the population that most churches can’t or won’t. I for one emerged from one of those meetings ready to champion this new change. When I encountered questions or criticism of the new idea, I freely voiced my support, and presented information about why this change was a good thing. Why? I was persuaded that this change was for the best. It was obviously something God put into the hearts of our children’s ministry workers. The facts were concrete. I was convinced we must make this effort. When it was all done, we had over 750 kids involved. Less than half what we had last year. But, over 550 of those have no connection to any church. Many had never heard the Gospel before. The most basic information about the Bible, God and Jesus was unknown to them. We built relationships with inner city kids. We loved on them. They loved on us. They learned that God loved them enough to send his son to die for their sins. Would we have done VBS this way regardless of opposition? Probably. But why? Creating champions of change is really creating partners. Why wouldn’t you do that if you could? When people start talking about “feature film” quality video for less than HDV prices, I pay attention. For a few years now some DSLR manufacturers have been making still cameras that shoot HD video. The combination of large sensors with great quality glass has put amazing video capability in the hands of single camera video producers. It may be hard to zoom smoothly, and you have to manually focus, but the video that comes off of these cameras is worth the extra effort. I had seen some images and compressed videos online, but never actually seen any raw video until last year. I was amazed at the quality of the video. The shallow depth of field that can be achieved is stunning. The image just looks great. Recently our Lighting Director added a Canon 5D Mark 2 to his cameras arsenal. He is an avid stock photographer, and this purchase will help him in that area. We had an interview shoot set up, so he readily agreed to us experimenting with his camera. We shot with a Sony Z1U, A1U and the 5D. We figured the 5D would look too different to actually use in the completed video, but wanted to see how it would work in a studio environment. That capture is from Final Cut Pro. The videos are each showing at about 50%. The Z1U image is great. Well lit, in focus, and completely usable. The 5D image is better. The shallow DOF makes the subject pop. Even in this very unscientific test, wow. Now, there are drawbacks to the 5D (and any video DSLR). The 5D has a 12 minutes record limit. Not an issue if you plan for it, but one of our interviews went 15 minutes, and we were unaware of that limitation. The audio input on the 5D (and every other Video DSLR with external audio I know about) uses a 3.5mm mini plug. There are tons of after market solutions for getting an balanced XLR signal into the mini plug, but it’s an extra step. then there’s the rolling shutter issues that plague all single CMOS chip video cameras. The 5D isn’t a cheap solution either. The set up I used for this experiment would be upwards of $4000. Still, that’s a grand under what the Z1U costs us back when we purchased it. My new goal is to compare the Full Frame sensor of the 5D with the compact sensor of the 7D and the T2i. Just how different are these cameras in their video capability. I know the 5D will have less noise at lower light levels, and could do a shallow DOF if needed. But is that worth the extra cost for what we are doing? Recently I started seeing friends post interesting images to facebook. Digital prints with an old look. 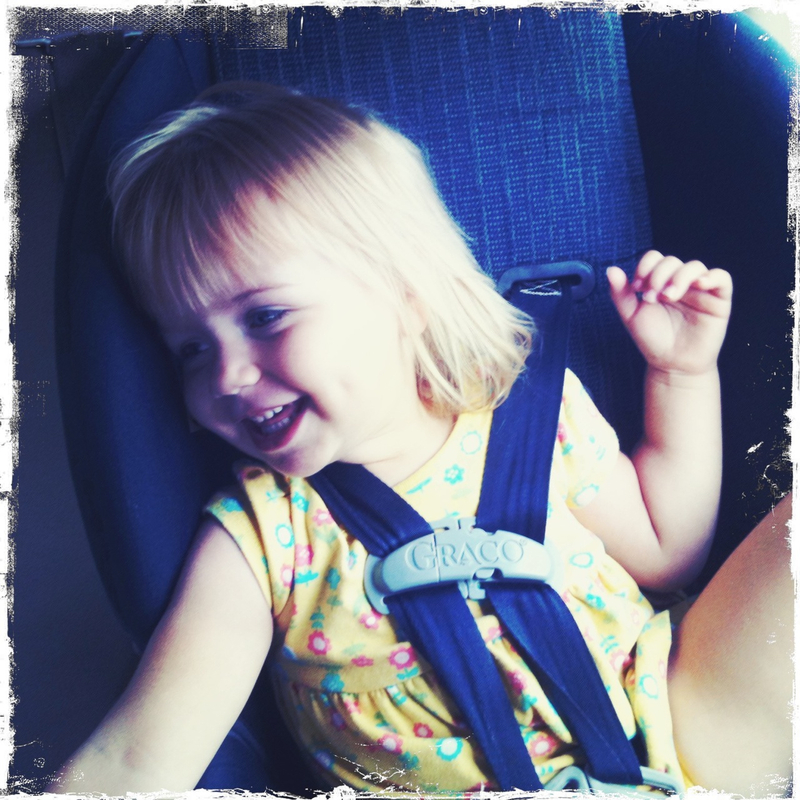 Turns out they were using the Hipstamatic app for iPhone. It’s another photo app for the popular phone. This one simulates old “toy” cameras of the past. You can “change” lenses, film, and flashes. The app costs $2, with in app upgrades for $1 each. In all you can drop about $7 if you have a mind. It’s not that the app makes you take good pictures. It just makes it fun to pay around with different gear variations and see what happens. The image above I took while waiting in the car. I shook the phone, which selects a random set of gear, and snapped the picture. Turned out pretty good. One drawback is that the images are not recognized immediately by iPhoto. But you can post direct to facebook and flickr, as well as email from the program. This app won’t replace a real camera, but it can help make otherwise boring mobile pics more fun. Last month I embarked upon an adventure. After AT&T changed their data plans to a tiered offering, I checked my data use, sure that I was hitting well over their 2GB limit. I was not; not even close. Quickly I realized that most of my data use was on a wifi network. So I had no real knowledge of how much data I actually used. Last month I decided to turn off wifi on my phone and see just how much data I really consumed. Let me say, there’s a reason why smartphones come with wifi capability. As fast as 3G is, it’s slow. I freely admit, a few times I went back to settings and turned wifi back on. But then I went back to 3G. There were times when my 3G network at home was reduced to Edge, something I would never notice if I was using my wifi network. Suburban 3G coverage has it’s flaws. Now it’s over, and wifi is back on. So what was my usage this past month? Not 2GB, but definitely more than the 200MB tier. About 2/3 of my data use is on a wifi network. Since iOS4 released I find myself streaming audio over 3G more. 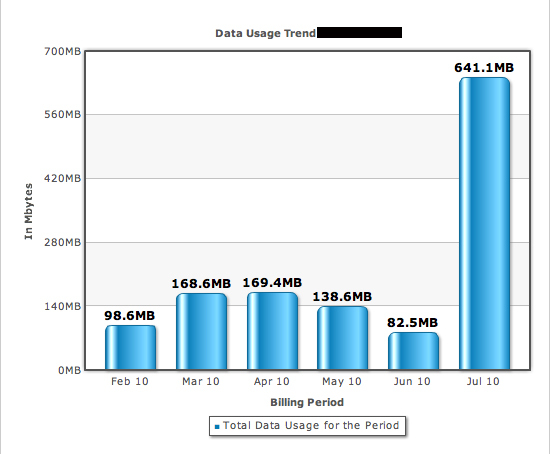 If that continues, or increases, I might see a bump in usage, but I doubt it will ever be over the 2GB limit. Still, letting go of the “unlimited”plan for a savings of only $5 is not very tempting for me. I will stay with my unlimited plan for now, and continue to monitor my data usage.